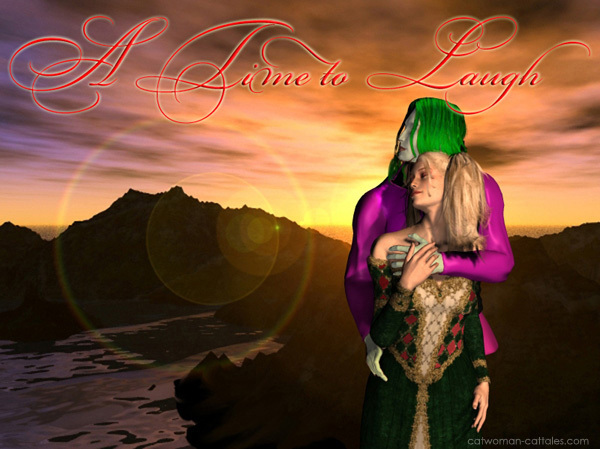 From Fool, Harley Quinn writes a romance novel. Theirs was a love forged in the fires of adversity, a troubled man with a mysterious past, a beautiful doctor who swore never to love again (Thanks to Professor Schnieder and his fricken C+, Thanks for nothing, Jerk). United by fate, they would stand alone against a Dark Terror from beneath the city.